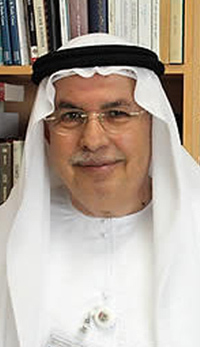 News agencies should take advantage of converging information technology to reach out to a wider audience with diversified services and overcome challenges in the new media era, head of the Emirates News Agency (WAM) said. "The rapidly changing media landscape could be seen as a crisis by news agencies that had a relatively stable source of funding, but on the other hand, it could offer (them) new opportunities" said Ibrahim Al Abed, the agency's director general, in an interview with Yonhap News Agency. Abed will travel to Seoul next week to participate in the summit congress of the Organization of Asia-Pacific Agencies (OANA), slated for April 21-24 and hosted by Yonhap. "By integrating information technology, (news agencies) can expand their clients to the general public beyond their traditional clients like newspapers and broadcasting companies," he said. Abed added that services like text messaging and video on demand offer ways for agencies to diversify their sources of income. WAM has established a satellite network to transmit news reports domestically and internationally, and operates a Web site both in Arabic and English. It also delivers free up-to-date reports to the mobile phones of opinion leaders and foreign correspondents, he said. With the Western media focusing heavily on conflict and war and neglecting other aspects in the Arab community, OANA has a "pivotal role" of facilitating information exchanges and strengthening collaboration among member agencies to deal with such issues, he said. "The cooperation among the news agencies is critical in reflecting Asia's own perspective in the international flow of information, which is predominantly led by the Western media," Abed said. Citing South Korea's successful bid to build nuclear power plants to the United Arab Emirates, he expressed hope for future cooperation in a wider array of areas between the two countries. "I expect the bilateral relations, which have so far focused on oil and energy, will expand to a variety of areas like education and culture," Abed said.